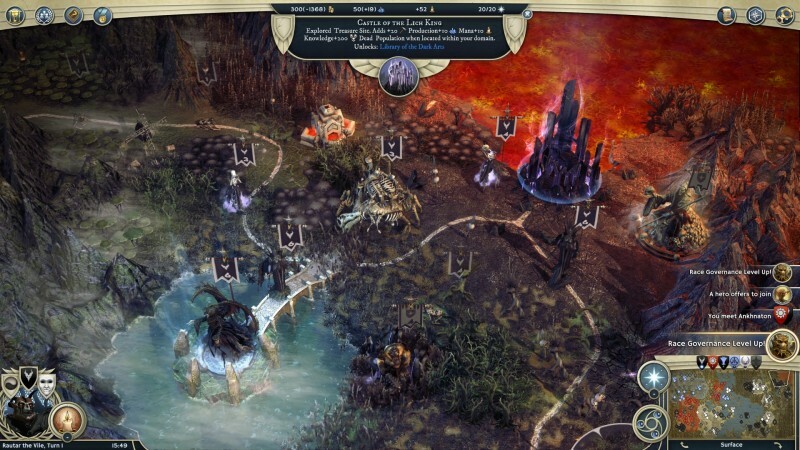 ОписаниеEternal Lords is the major, second expansion for the acclaimed strategy game Age of Wonders III, marking one year of continuous development since its release. 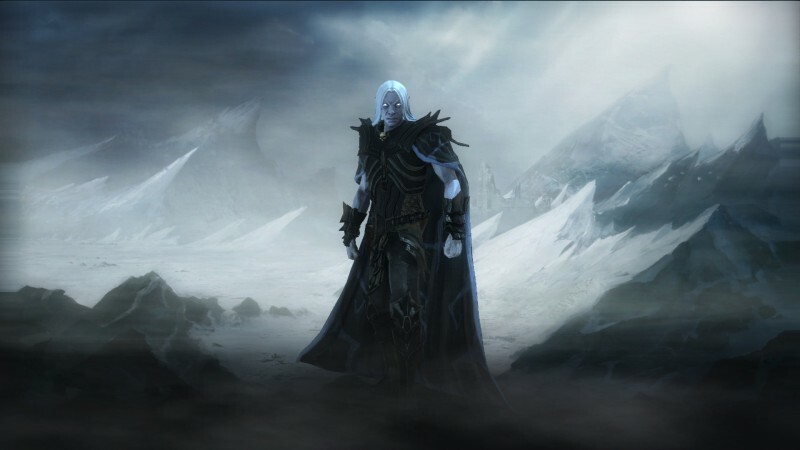 With the introduction of the Tigran and Frostling races and the new Necromancer class, players must adapt to a world on the brink of cataclysmic change. 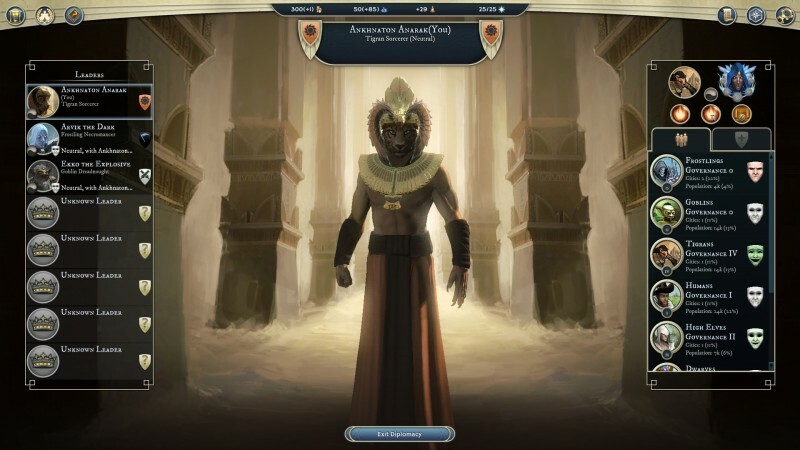 New features such as the Race Governance system, which allows players to tailor features of each race in their empire to meet their strategic needs, add new layers of depth to empire development and diplomacy. Embrace the forbidden powers and reign for eternity! - The Necromancer Player Class: The Necromancer’s legions march to establish an eternal kingdom, unifying all the world’s races in death. The Necromancer creates spectacular undead units, such as the Bone Collector, a crablike monstrosity which eats corpses to strengthen itself. Other units are summoned, such as the Banshee, which invokes despair in the hearts of the living. 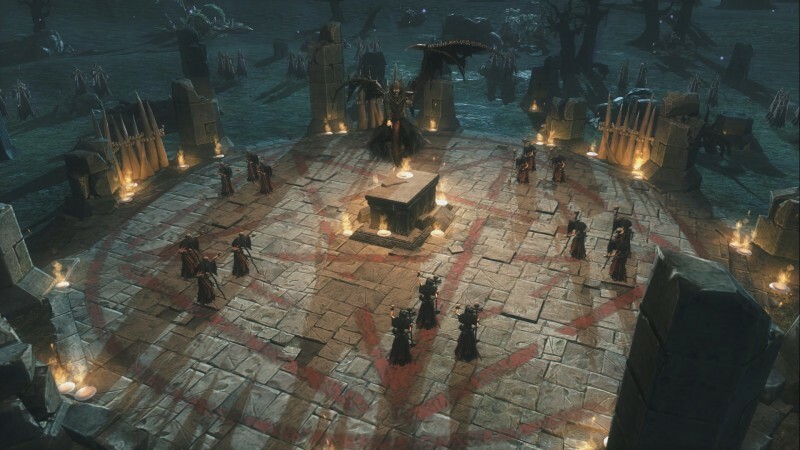 The Necromancer’s dark magic allows players to convert towns to cities of the dead, filled obedient Ghoul minions. - Torch Bearers, Grey Guard and Shadow Born Leader Specializations: These Champions of Good, Neutrality and Evil respectively deepen the alignment mechanics and provide players of all classes powers to withstand the challenges of the new age. Learn spells to summon mighty Angels, end game units who embody the essence of each alignment. - Frostling Player Race: Frostlings are a race of humanoids that emerged from the frozen north. Lead by their Ice Queens, they embark on frequent raids in warmer lands. Their seafaring skills, offensive fighting style and frost magic spread fear among the coastline villages they pillage. Frostings are even more deadly in their home arctic clime, where they build cities carved into the very glaciers they hope will someday grow to cover the earth. - Tigran Player Race: These feline humanoids hail from remote desert lands. They worship the sun and track the cycle of day and night; life and death. Their natural curiosity about necromancy and the passing of regal souls into kingdoms of glory in the afterlife inspires them to construct massive tombs. Tigrans are natural sprinters, capable of moving far faster in combat than members of the other races, and are familiar with shape changing magic, allowing their mystics to transform into Dire Panthers. 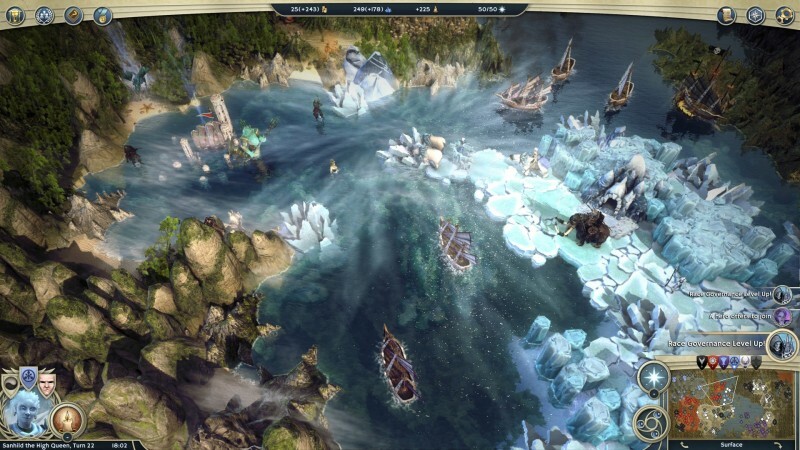 - Eternal Lords Story Campaign. An epic battle of the forces of creation: fire versus ice, life versus death. As Arvik, heir to a broken Frostling kingdom, you awaken forbidden necromantic powers to reclaim your realm. You will find unlikely allies, and must choose between your Frostling roots or the full potential of your new found powers. - Cosmic Happenings: The dawn of the Eternal Lords has triggered cataclysmic events that can radically shift fortunes. These events occur as the game progresses, disrupting the best laid plans and providing opportunities for cunning players to gain an advantage. 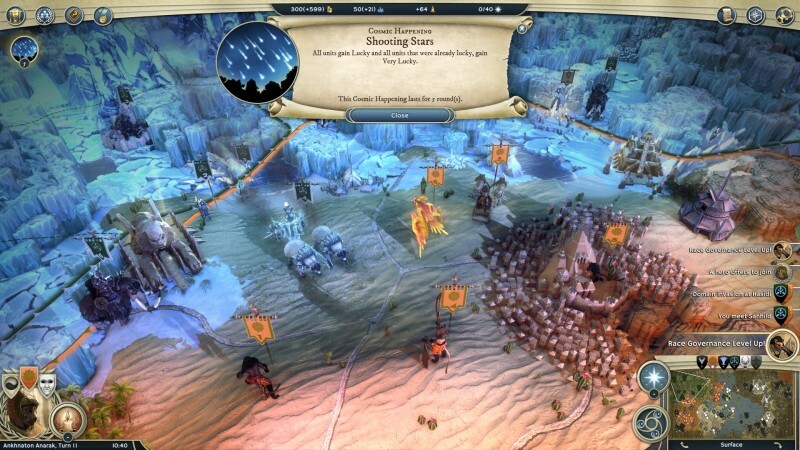 Falling Clouds can fill the world with mist, giving shock weakness to machine and armored units and reducing sight range, while the March of the Troll King can cause armies of trolls to rampage across the map. - Race Governance: Relations are now tracked per race, allowing you to make careful decisions who to make war with. Declaring war on an Elven city might give you a quick conquest, but don’t expect your Elven citizens to be happy about it afterwards! 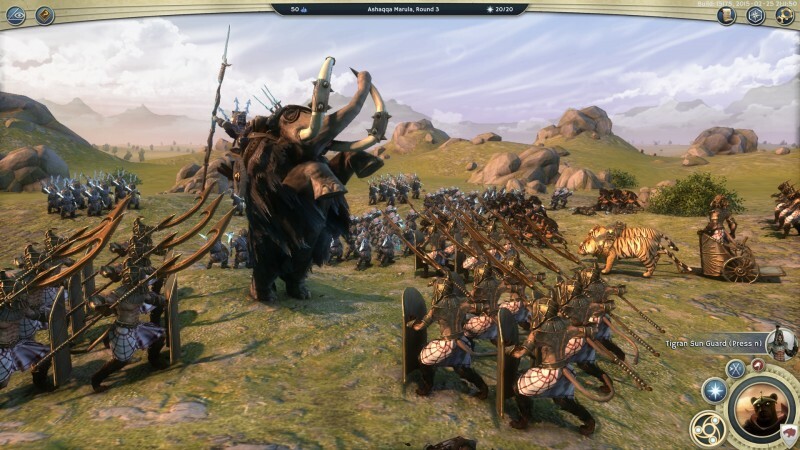 As your relations with each race improve, you will be able to earn unique racial perks that boost your armies and economy. - A dozen Mysterious Map Locations: Capture the Reef Colony Dwelling, home to horrors of the deep, and discover new treasure sites such as the Lich’s Castle, Temple of the Sands and the Hall of the Forefathers to benefit your empire. - Plus New Hero Items, Standalone Scenarios and more! 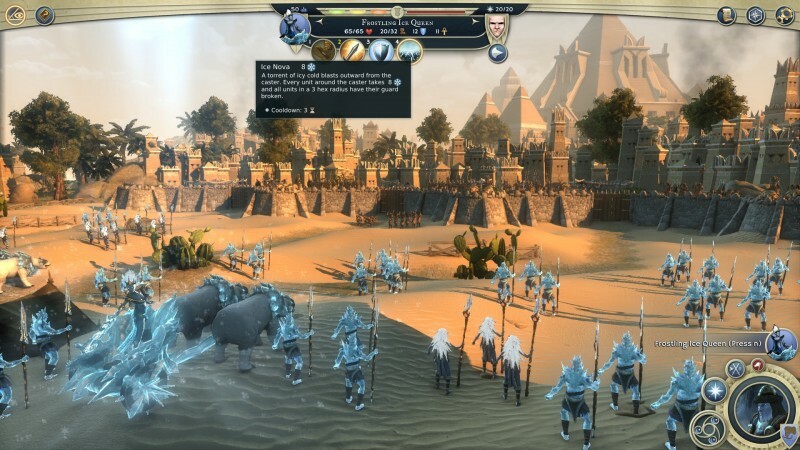 Eternal Lords incorporates feedback from the community and coincides with a free update adding: Play by Email "a-synch" Multiplayer Mode: which lets you play Age of Wonders III when you want. You get an email notification when it’s your turn, boot the game and Triumph’s server automatically sends and receives your game data for you. Видеокарта nVidia 9800 / ATi Radeon HD 4870 with 512MB or integrated Intel HD 4000 with 3GB system ram.